Hello ... Christmas is round the corner ..and New year too. Year 2014 flies away so fast..isn't you feel the same.. 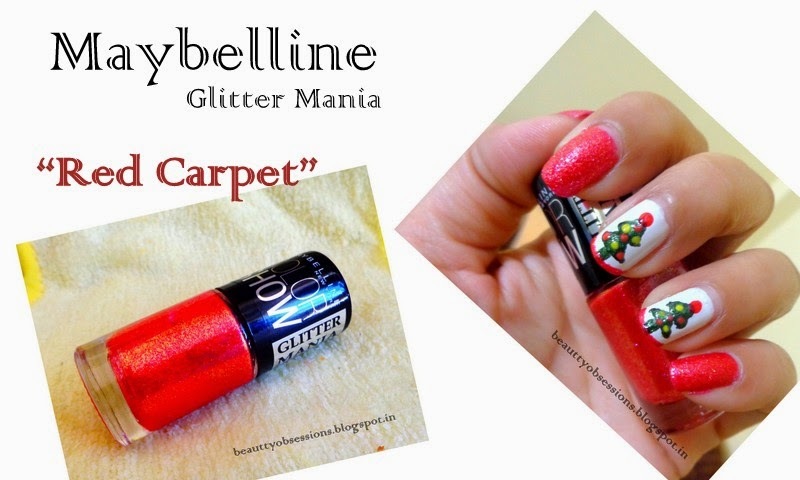 Anyway today I am going to write on Maybelline Colorshow Glitter Mania Nail Paint "Red Carpet" which I was purchased from Nykaa.com during the GOSF shopping. ( Have posted here).. 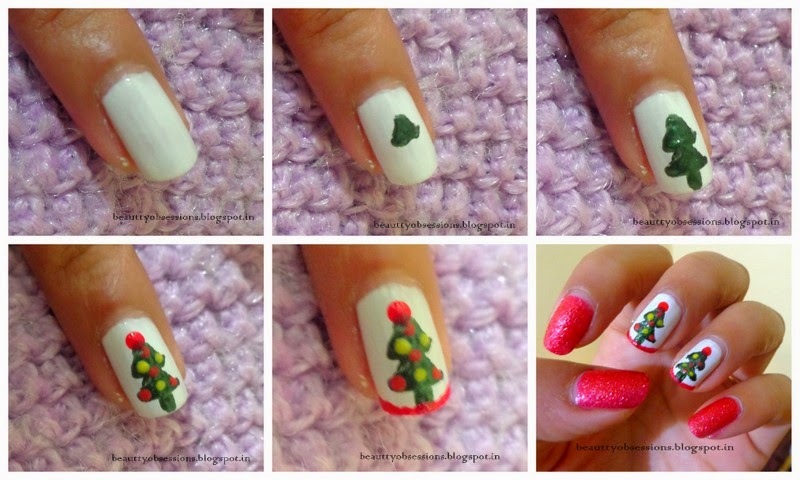 I have total 3 shades from the glitter mania range ( have reviewed the shade Matinee Mauve here) .. Let's proceed to know more..
Now See the Christmas nail art I have done ..